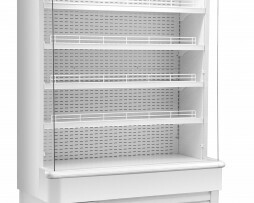 The Pavo is a high quality, tough and durable glass door merchandiser which is packed full of features. 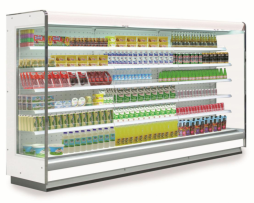 Fitted with LED lights as standard products appear vibrant and appealing to the customer while the self closing door(s), adjustable shelves and EPOS strips make this chiller just as attractive to the retailer. Available with either 1 or 2 doors the Pavo is a popular, flexible and cost effective solution. The SUNNY is popular with catering professionals who want quality and reliability. 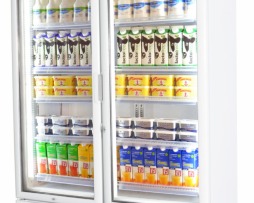 The SUNNY comes complete with manual night blind, four adjustable shelves, auto defrost and switchable interior light making it the open deck chiller ideal for convenience retail.